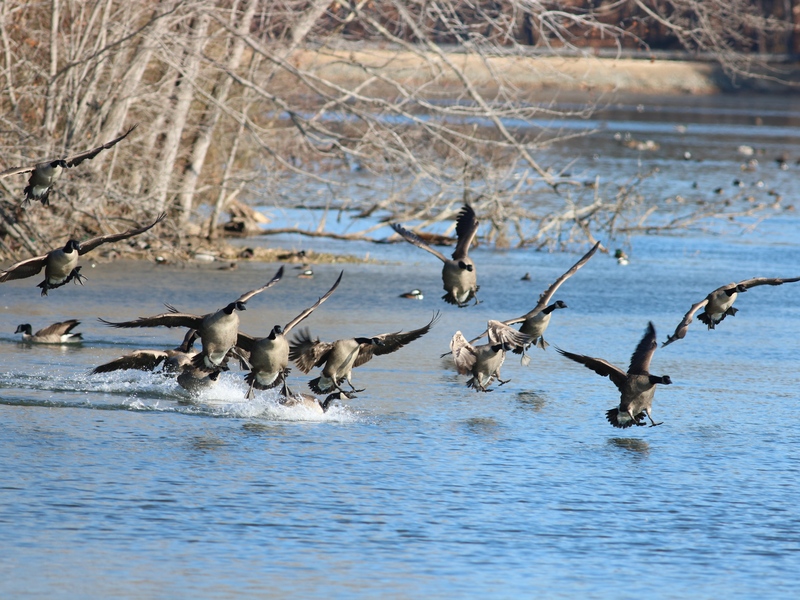 David Disher saw ducks, “What time?” I replied. In hopes that all those ducks still would be there! My haul down the stairs made a bit of a racket. Although I was careful, not going too fast. The clouds looming over — glad there was no rain. But no time to stop yet, there were ducks down below. But a handful of birders adorned with their gear! To join in the party and spot what was new! There on the lake there were birds — quite a LOT! 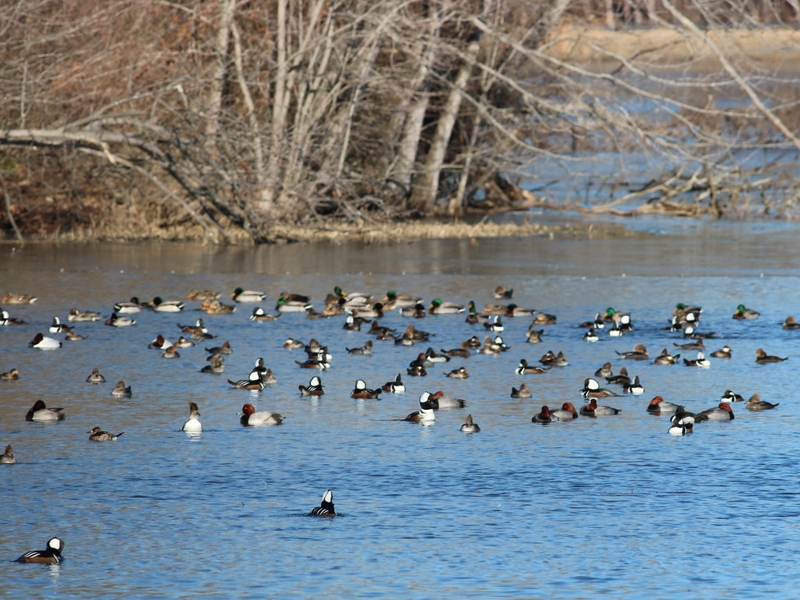 Mergansers, both Hooded and Common, were there; Canvasbacks, Long-Taileds, and gulls to compare. Flocking and splashing, for what? — We don’t know. Were happy to share from the dock, safe and sound. “Where’s the Long-Tailed Duck? The Common Merganser?” I wished. “Look here in my scope,” these bird friends would say, Lowering an eyepiece — not a moment’s delay. “Wow! 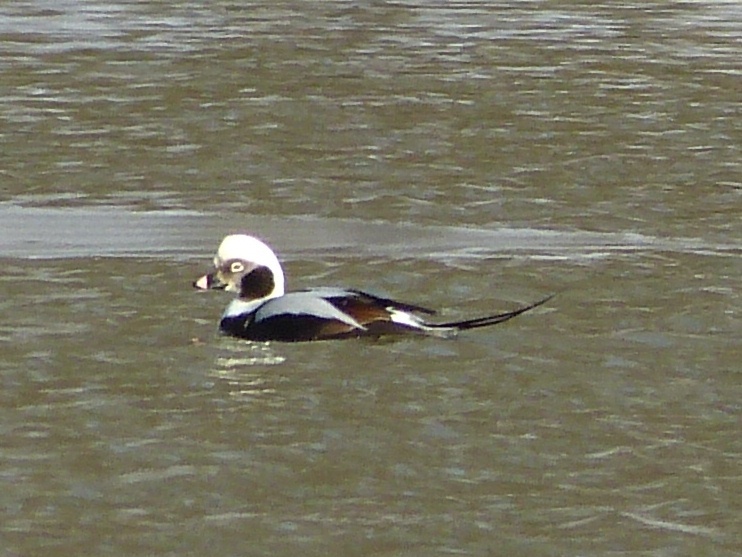 A Long-Tailed Duck! I’ve never seen one before! My eyes big a saucers — life bird 2 – 0 – 5! I aimed, and I spotted — boy was THAT grand! Our cheeks were like roses, our noses like berries. Our lips were all frozen; our teeth, how they chattered! But we could see DUCKS, and nothing else mattered. 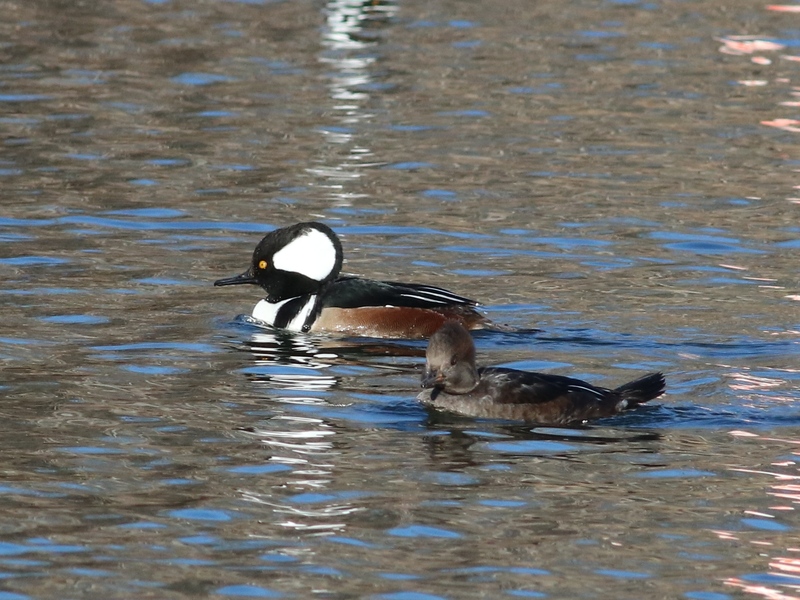 A flashy male merganser shows off his hood. Great ID advice! – as we shrugged off the chills. Where’s the Herring Gull? 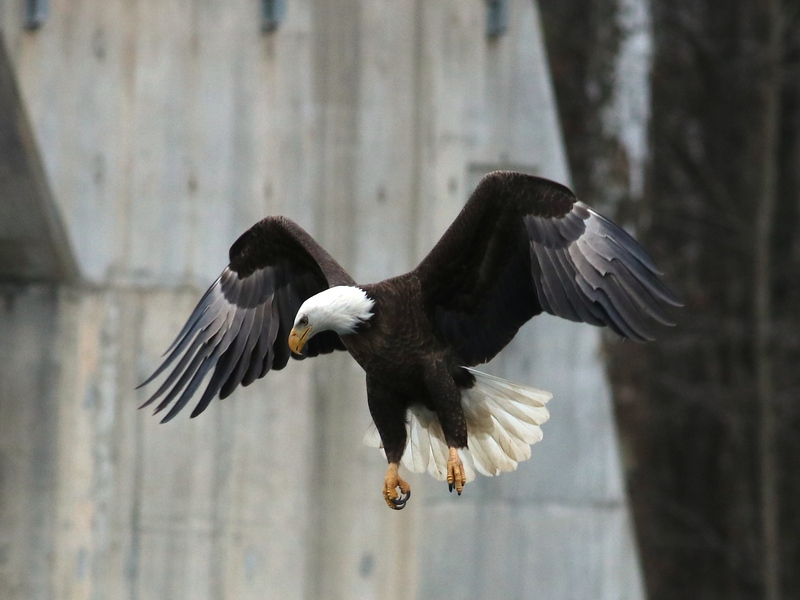 Bald Eagle? Hmm, was there a theft? We “oooed” and we “awed” – there was nothing to dread. With enough time to chat before heading to work. What a breathtaking, impactful trip it had been! But I had seen lifers! 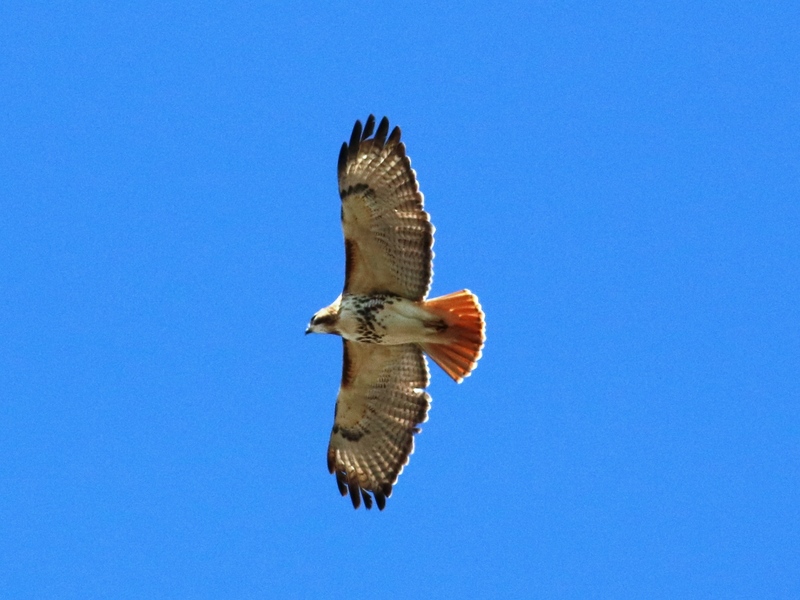 What birds we had spotted! To hear Wendy read her poem, click this link hear my audio recording.